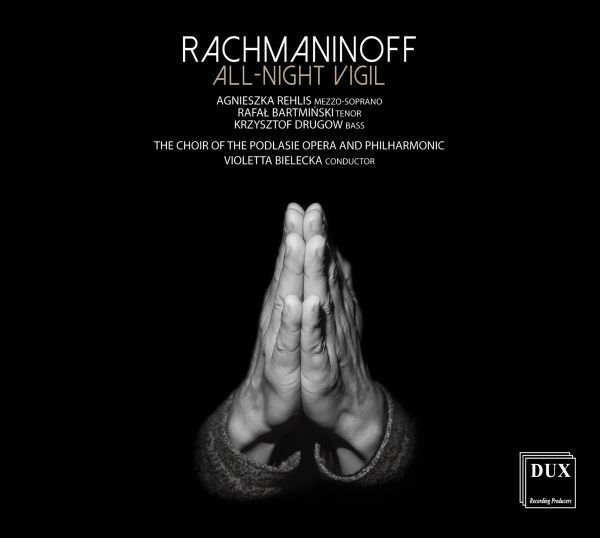 Sergei Rachmaninoff All–Night Vigil for mixed chorus, Op. 37 (1915) - Good start for polish music. Vespers – a cycle of religious services celebrated by the followers of the Orthodox Church on the eve of all feasts and each Little Pascha - i.e. Sunday. Vechernya, povecherye and utrenya are celebrated from evening to dawn. Among numerous composers who have developed the text of Vespers, it is Sergey Rachmaninoff that stands out due to the mastery of form. Carefully selected sounds of discreetly modern harmony render the acoustics of an Eastern Orthodox temple. Changes of cast (from three to eleven voices) and polychorality depict a sui generis theatrical nature of Orthodox church ceremonies whose action evolves on a few levels, in different space points of the temple. It is particularly the sonorous, crystalline registers of female voices that contrast and perfectly combine with the male voices, among which the basso profondo basses, rarely found in the Western culture, have a profound meaning. The Podlasie Opera and Philharmonic Choir, also due to its artistic level, guarantees the highest performance level of this kind of music in Poland.